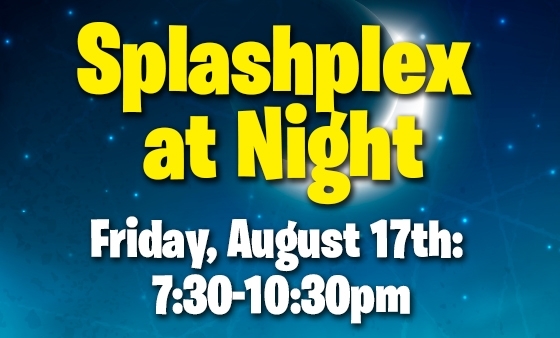 Splashplex at Night event is from 7:30-10:30pm. Includes Access to the Splashplex Waterpark. Available August 17th All Tickets are non-refundable.